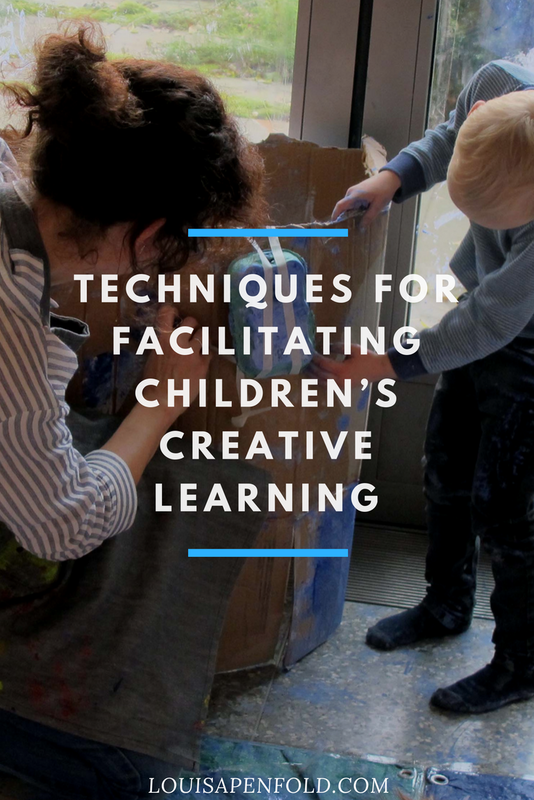 Over the next month, I am going to have a go at writing a handful of posts on techniques for facilitating young children’s creative learning with and through art. Each post will include a description of a technique in addition to how and when it may be useful. These should not be seen as all-conclusive but more as different options to experiment with. To facilitate means to make something easier (Collins Dictionary online, 2017). In an education setting, this does not mean to lower the standard for learning but rather support an individual’s ability to make connections and thinking critically about learning processes (Mac Naughton & Williams, 2009). Facilitation may take many forms such as questioning, suggesting, modelling and giving feedback as well as non-human interventions such as the layout of materials or the arrangement of artworks. A facilitator – whether that be a parent, a peer, a resource, an art tool or a material – allows learning to complexify, deepen and diversify over time. Facilitation acknowledges the active role children play in their own learning and development. This moves away from an understanding that knowledge is predominantly contained in direct instruction. 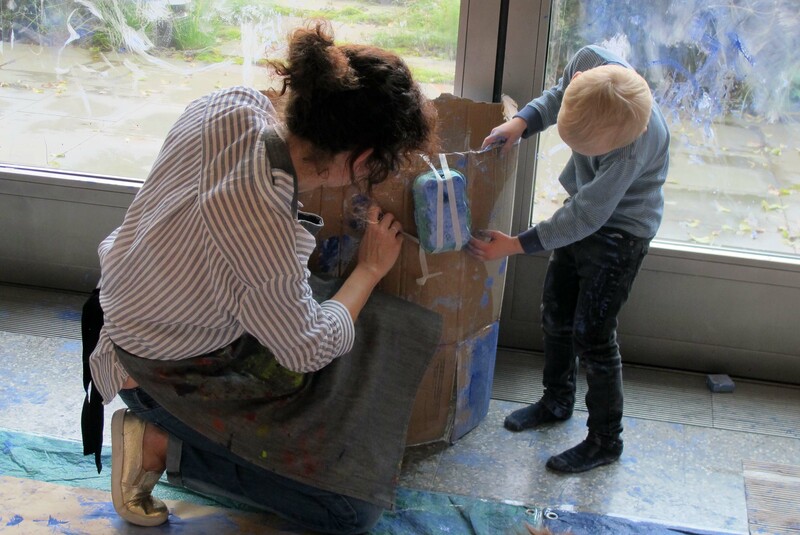 In an art museum, an artist or gallery staff member may create the conditions for learning but it is the participants who select what they explore and how their learning journey proceeds. The role of the educator could then be seen as guiding and extending an individual’s thinking. From my experience, finding a balance between a child’s individual explorations and adult intervention can sometimes be tricky. Too much intervention and the learning environment could become overly didactic. Too little intervention and the activity could lose any pedagogical structure leading to an individual becoming frustrated or disinterested. An important aspect of this process is also allowing children to encounter failures and frustrations as part of their journey. Encouraging those working directly with children to continuously observe, reflect and make changes to an activity whilst it is in progress. Building on this, the next post will explore the technique of ‘suggesting’ and how this can be used to support children’s creative learning. Mac Naughton, G & Williams,G 2009. Teaching young children: Choices in theory and practice. Second edition. Open University Press, Maidenhead.